Have you ever wondered what it was like to wear heavy cardboard boxes on your feet? Have you ever hated a shoe? Do you remember that scene in Wild where Cheryl Strayed (Portrayed by a sweaty Reese Witherspoon) threw her hiking boots off the mountain? Welcome to the world of the Oboz Mystic Low B’day Hiking Shoes! I’m assuming the good people at Oboz threw in the mystic parts because they are mystified someone would ever buy this horribly stiff hiking shoe? You are going to want to ensure you have the correct footwear when undertaking these expeditions as suggested in this Kheerganga Hiking guide, this is due to the rough terrain you may encounter. When my new hiking shoes came in the mail from REI I was very happy to see them! My Asic trail runners had seen better days and were full of holes and falling apart. They were not going to make it through another snowy mountain winter and I did not want wet toes as I spent those winter days trail running over crusty snowy trails. So to REI.com I went for their annual Labor Day sale. I love the REI holiday weekend sales because you can get brands I love like North Face, Columbia and Kuhl at awesome prices. 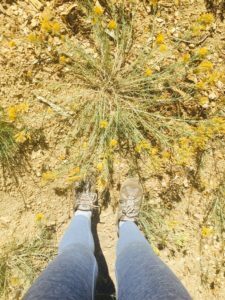 I had never worn Oboz before but the reviews I read on them were fantastic and I expected a comfy hiking shoe to keep my callused hiker’s feet in top condition. 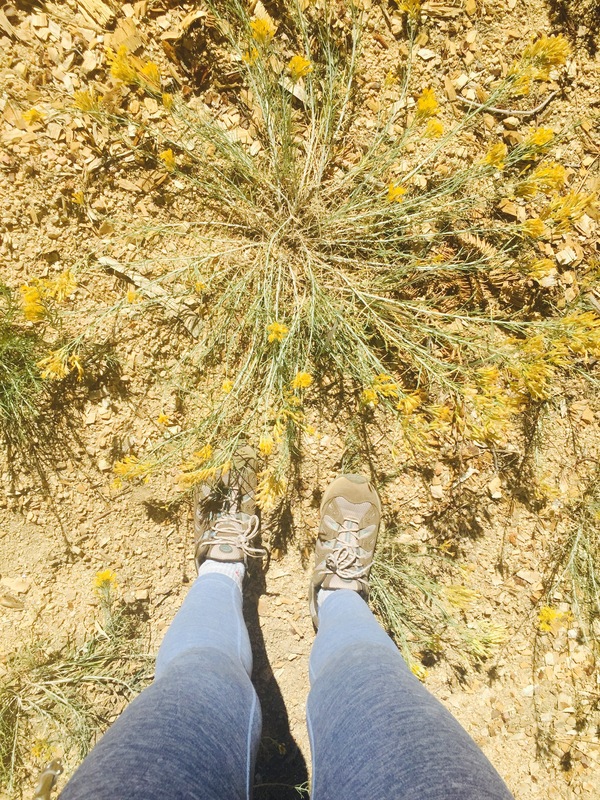 What I got was a hiking shoe that felt like a heavy cardboard box on my feet. Seriously these hiking shoes are a joke! I did three separate hikes in them this week, about twenty miles hiked total and it never got any better. In a SHTF situation, I would probably have to run barefooted or pray that I find another pair of boots my size as these boots are far too heavy to ever consider running in! Yesterday I spent an absolute gorgeous fall day hiking one of the hardest trails in Big Bear Lake, Snow Forest where the old ski resort was, up to Skyline Trail. This hike consisted of over 1,000 feet altitude gain in 5 miles. That means feeling like you are hiking almost straight up for most of the ascent. This trail is just so gorgeous with lake views on one side and valley views once you reach the ridge line that you forget just how hard it is. Not only that but you pass by meadows, seasonal ponds and in the autumn months the fall colors with the oak trees changing shades are stunning. This is one hell of a hard hike and by the time I got back to my car my feet were killing me. I still had to go to the grocery store after that and run a few errands and all I wanted to do was take off these terrible hiking shoes as soon as possible. On this stunningly gorgeous fall day I learned my lesson about buying the Oboz brand of hiking shoes! When you are looking for a new hiking shoe brand and going out of your way to research a good hiking shoe look elsewhere and save yourself the pain and the blisters! What takes my mind off of hiking shoes from hell? Starring at all these fantastic fall colors as I hike with my dog up and down the prettiest mountain trails. We are so blessed that these trails start just outside our front door. Even if sometimes I am not wearing the most appropriate footwear!